Memories In Broken Glass Releases Video for "Ember"
Once again audiences will be captivated by the incredible vocal performance and raw emotional musical writings of Hammer Forged Records recording artist Memories In Broken Glass with their newest music video for "Ember," off the debut full length album "Enigma Infinite" available to stream on Soundcloud, iTunes, Spotify, Google and Amazon. Like a true testament to the struggles of life, love and the pursuit of something beautiful, "Ember’s" powerful message gives the audience something they can all relate to. 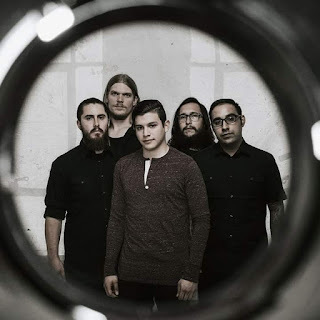 "From the ashes, we’ll be reborn," vocalist Saul Castillo said in a recent interview with The Metal Shop Vlogs El Paso. "It’s provocative." "Ember" was filmed at Walnut Creek Greenbelt in NE Austin, directed and edited by vocalist Castillo and this time accomplished entirely without an official videography company.